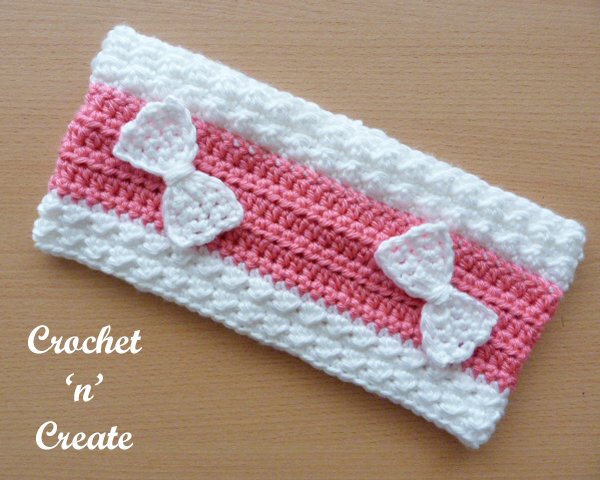 An adult crochet hairband, I have designed it in puff and single — crochet stitch, using a a 4.50mm hook and worsted #3 yarn. 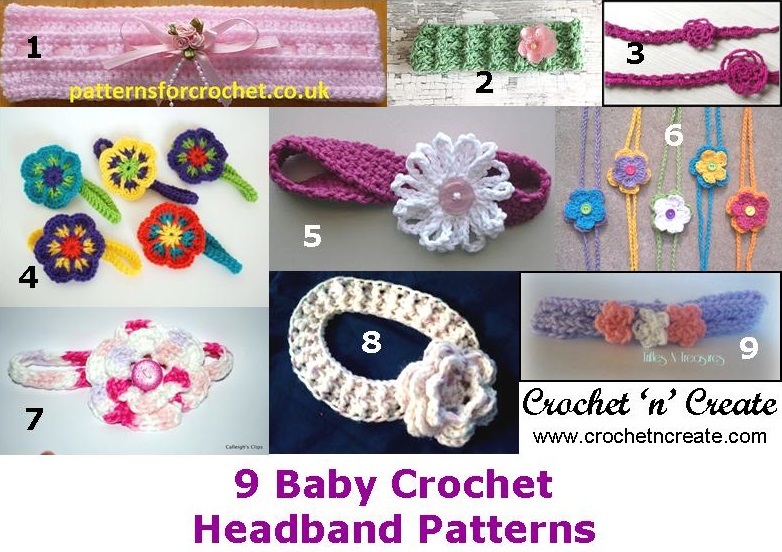 Great for keeping your hair back from your face, it is a quick pattern to crochet and will be lovely for gifts as well as yourself. 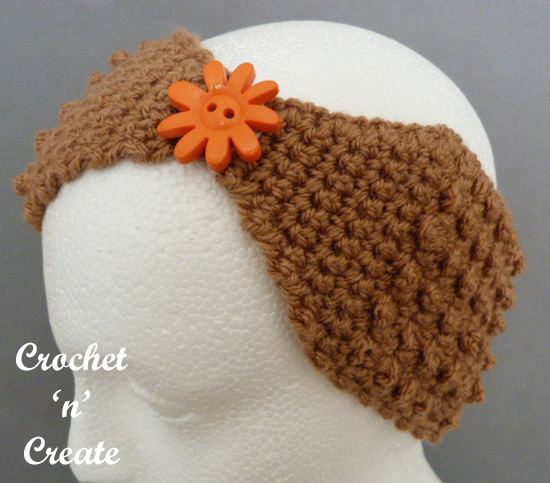 This crochet ladies headband is an easy quick project to work up, it is not only great for holding your hair back but also to keep your ears warm in those colder months. 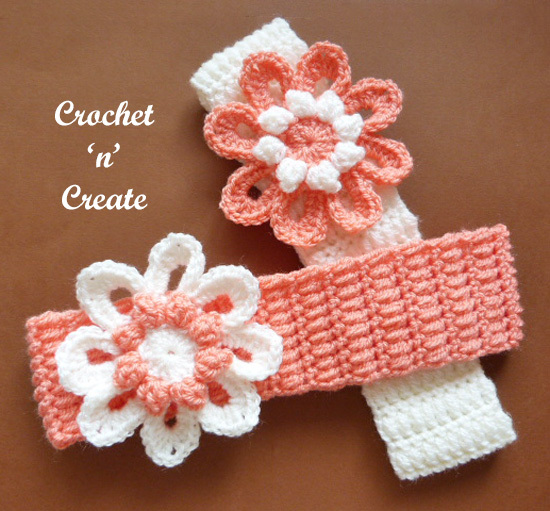 Makes a lovely homemade gift idea, crochet for birthdays etc. 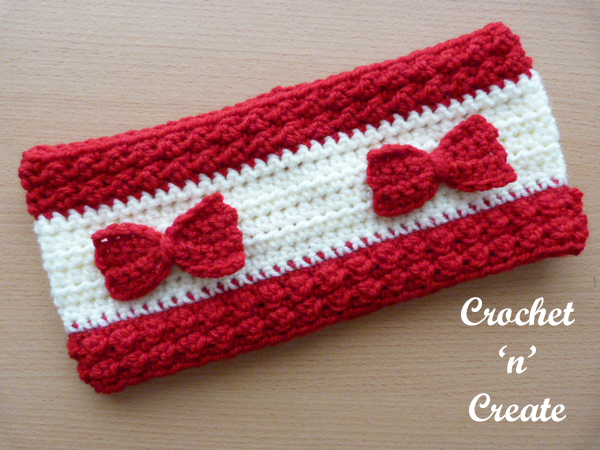 This entry was posted in Headbands and tagged crochet, crochet headband, free crochet patterns on 10th November 2017 by crochetncreate. 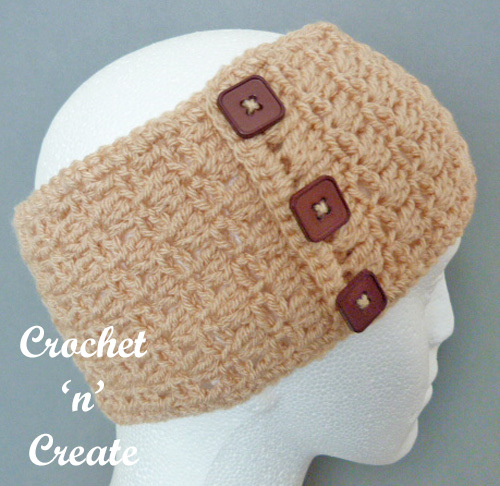 I’ve designed this adult headband with two ideas in mind, to make it stylish and for the practicality of keeping your ears warm. There are two rows to the stitch pattern which are made up of ch’s, sc and dc’s, so it’s great for both the beginner and the experienced crocheter, make in one color or several the choice is all yours. 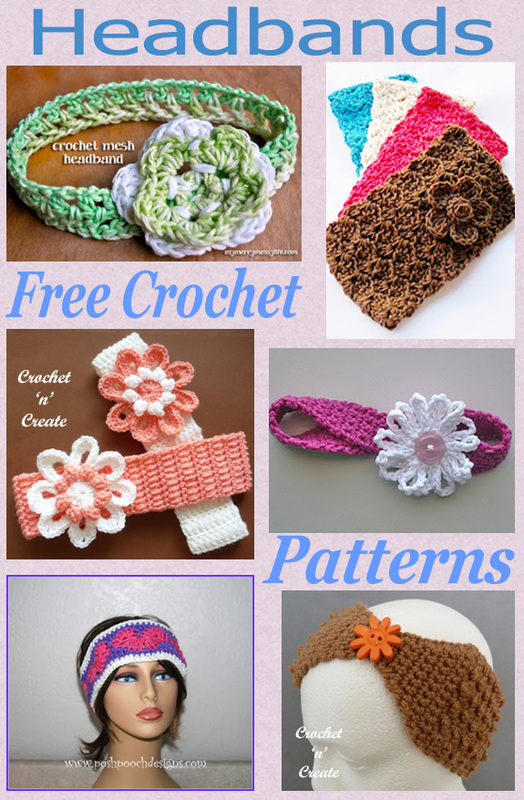 This entry was posted in free crochet patterns and tagged crochet, crochet headband, free crochet patterns, ladies crochet on 16th March 2017 by crochetncreate. flower motifs and some are without but the best part is they are all free. 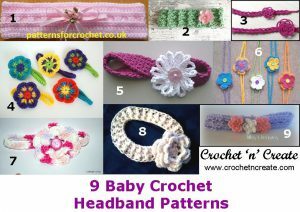 This entry was posted in Baby crochet pattern, Round Ups and tagged baby crochet patterns, crochet, crochet headband, crochet patterns, free crochet patterns on 16th December 2016 by crochetncreate. it will look nice in either colours. This entry was posted in free crochet patterns and tagged crochet, crochet hats, crochet headband, crochet patterns, crochet stitches, free crochet patterns, free pattern on 29th September 2016 by Heather.